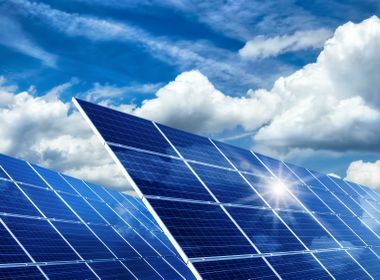 Solar power and other renewables are among the choices Edison Energy may recommend to help large customers meet their electricity needs. 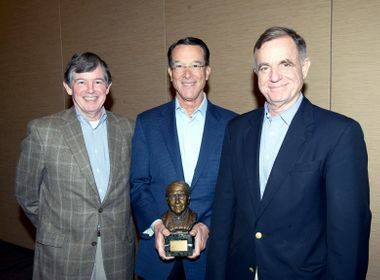 Ted Craver, chief executive of Edison International (right) and Ron Litzinger, president of Edison Energy Group (center), talk with a guest at the recent public debut of Edison Energy in Irvine, California. Edison Energy, a subsidiary of Edison International, will help the nation's largest energy users sort through their many energy choices to identify the ones that best meet their company's needs. Edison Energy advises commercial and industrial customers on the best technologies to meet their energy needs. With new technologies like wind and solar power, battery storage and microgrids, large companies are facing an increasingly confusing array of energy choices. Edison International hopes to cut through that complexity with a new business to help them find the best energy solutions. Edison Energy, a new subsidiary of Edison International, is an independent advisory and services company. It is able to assess the needs of the nation’s largest energy users and recommend the technical and engineering services that will save them money and meet their business resiliency and sustainability goals. The company serves large organizations like Fortune 500 companies, multi-site retailers, educational institutions and municipalities. Utilities used to be one-way providers of electricity, but increasingly they are becoming two-way systems. Power is not only received and consumed by customers, but some customers now produce power, like solar and wind, and send it back to the grid, Craver noted. 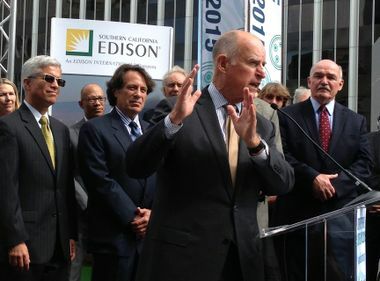 Craver said Edison International, parent company of Southern California Edison, sees a unique opportunity to leverage its 130 years of expertise in the electricity industry by establishing Edison Energy. Before Edison Energy was created, Edison International surveyed more than 500 executives and managers at medium and large U.S. companies about their future energy needs. The research found that large energy users are concerned about managing their costs and volatility, as well as choosing the right technologies for their needs and lessening environmental impacts. The study indicated that there is a lack of advisors and partners available to large businesses to help them explore and consider options. Unlike most companies that provide power to large companies, Edison Energy’s business model is described as Energy-as-a-Service. The focus is on the client, putting the control in the hands of the energy user, not the energy supplier. Energy-as-a-Service is fundamentally about customer choice, helping to build a power portfolio that is customized to meet each client’s specific energy needs and goals. Edison Energy has built a strong foundation with recent strategic acquisitions of innovative companies that provide energy consulting, engineering, procurement and data analysis. Based in Irvine, Edison Energy currently serves one in four of the Fortune 50 companies and employs more than 200 people.